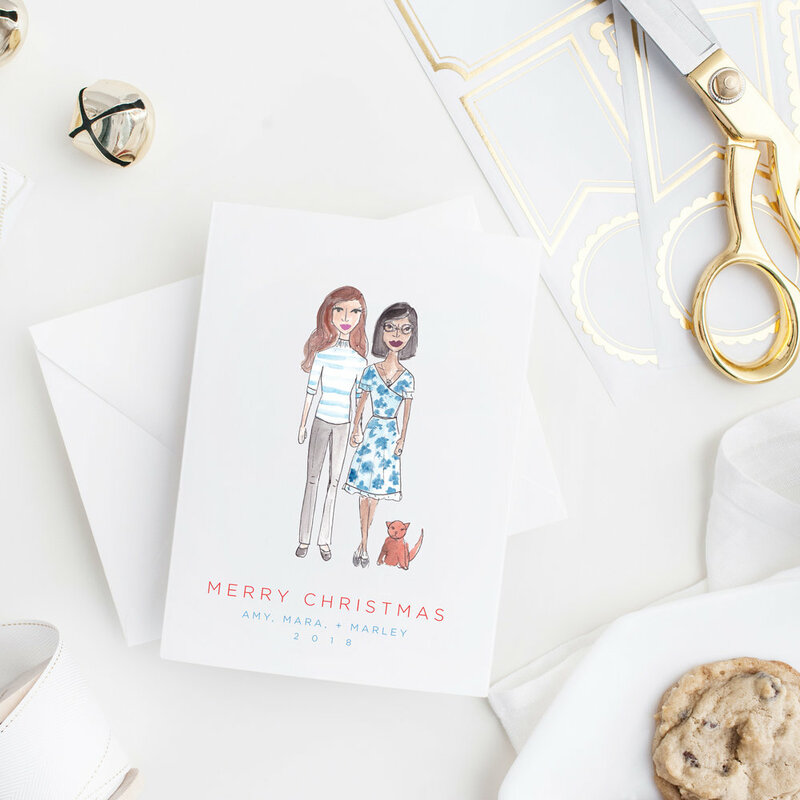 Ready for the cutest holiday cards you've ever seen? 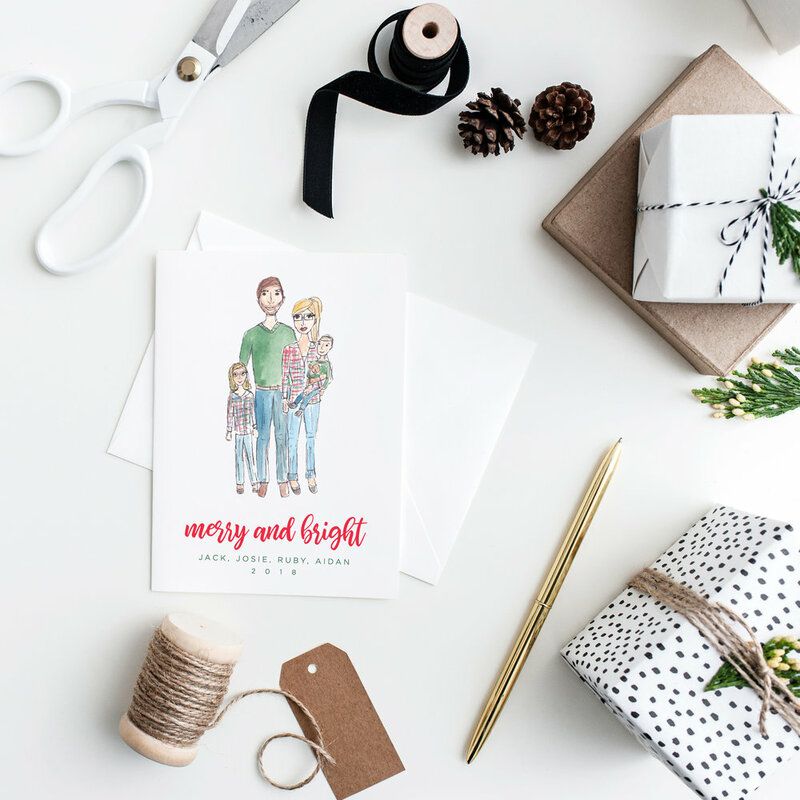 Our custom, totally personalized holiday cards will be a standout in your friends' and family's mailboxes this season. 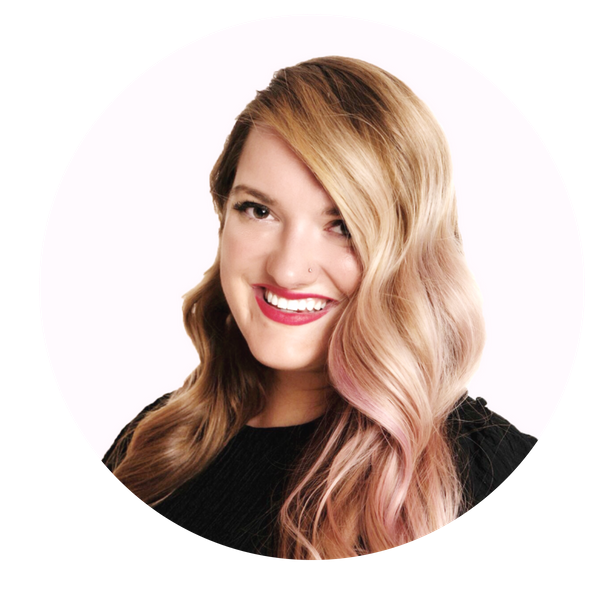 Included in each package is a custom watercolor illustration and your choice of (50) or (100) high-quality, super-thick cards and beautiful euro-flap envelopes. 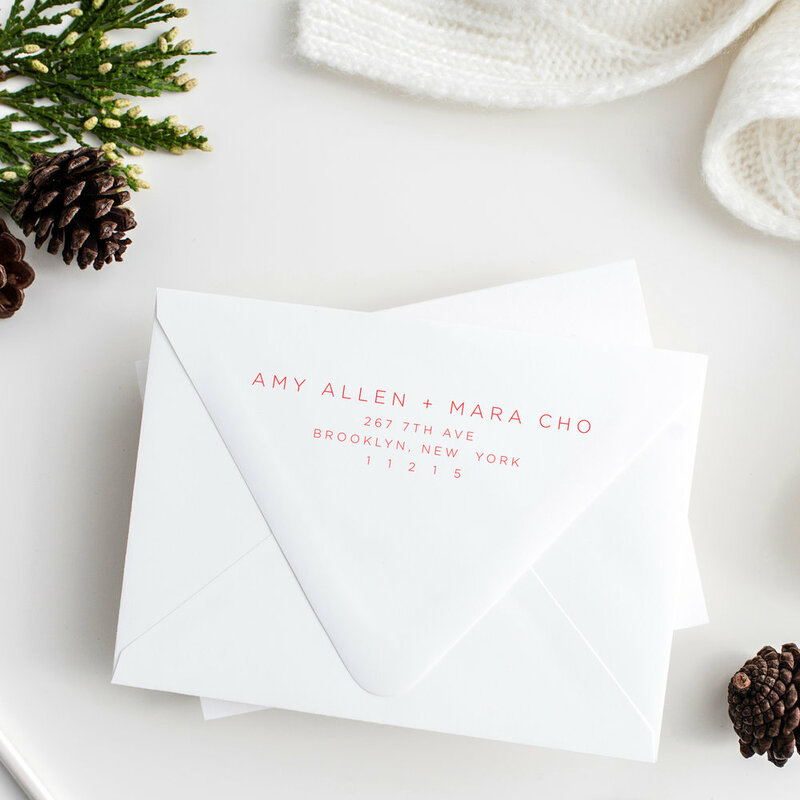 We even include a custom return address and print it on the back of each envelope (kinda obsessed with the details over here). Pricing is $165 for (50) cards and envelopes, design, and the custom illustration; $200 for (100).